In our highly mobile society, out-of-home catering is increasingly important. Convenience products have established themselves, particularly among major consumers, as a way to fill empty plates for hungry people quickly and almost instantly – as any cook in an industrial kitchen will know. 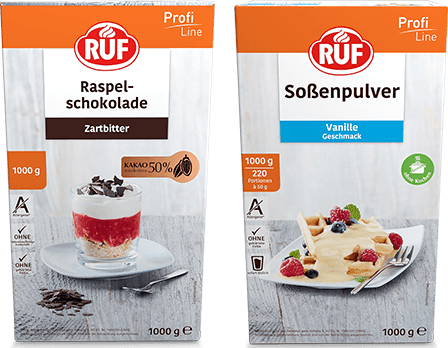 With our user-friendly ProfiLine, RUF is here to help you with day-to-day work in your kitchen. We have decades of experience in food service and offer professionals the best support in everyday work in the kitchen with solid specialist knowledge and a consistent approach to quality. Our easy-to-use products offer high-quality solutions even for lower budgets. They all come in practical containers, too. 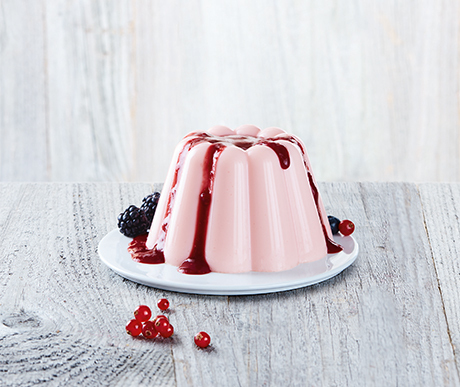 To keep up with the trend of eating out, we offer instant convenience products for communal catering, institutional catering, industrial canteens and hospitality kitchens. Industrial kitchens use our baking ingredients, desserts, dessert sauces and thickeners in all areas. In order to keep up with the trend towards eating out, we are constantly expanding our product groups and aligning them based on market requirements. 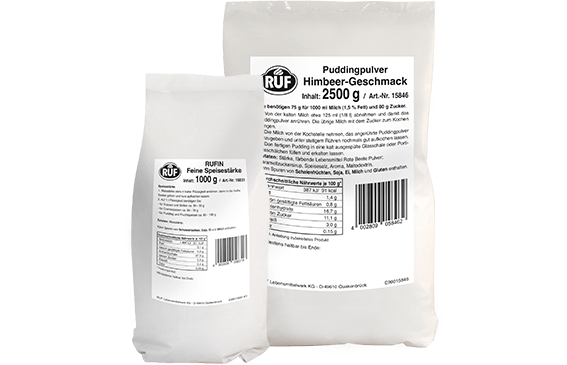 You can find the entire RUF food service range in specialist wholesale in various containers and packaging sizes. Our full product range is available around the clock at the selly.biz online shop. Take a look and order our products straight to your kitchen! We care about making sure you always have the right contact to hand. Our professional team are on hand to provide you with quick and simple advice. Be inspired by ideas, products and support from our sales team.